When I was in San Francisco on business in March 2014, I made a trip down to the campus of Stanford University in Palo Alto to look around. I had the serendipitous luck to be on campus when Eric Schmidt, Jared Cohen of Google and former Secretary of State Condoleezza Rice held a discussion on the future of technology. 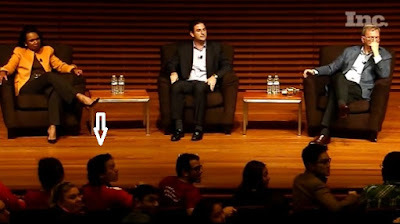 I was able to sit front row and center: During the Q & A, I held up a sign saying “Bitcoins? Regulations” Secretary Rice saw it and gave me a nod. A few minutes later, she asked Mr. Schmidt about the current fascination with bitcoins. Professor Rice was concerned with the regulation of the currency. However, Mr. Schmidt was interested by the architecture of blockchain. He said that the fact that certain parts of it is difficult to replicate is a interesting part of blockchain. That's me under the arrow! For a young currency, Bitcoin has had a controversial history. At the time of this writing, it is trading at $409 per coin. At its peak in December, 2013 it was trading at $1147 per coin. Then Mt Gox collapsed and brought the market to its knees. The value of a currency is based on how much people trust it to be able to hold value. Based on the fact that mining bitcoins is complex, energy intensive process coupled with the fact that only 21 million coins will ever be mined, one might reason that it should be worth more than gold. But it’s not. However, whatever happens to bitcoin, its underlying architecture will continue to fascinate, tech and financial people for years to come. It has become one of the most exciting tools of the fintech sector. I sat down with Patrick Young (CEO of Hanza Trade) a finance expert with over 30 years of experience in exchanges as to discuss the present and the future of blockchain. 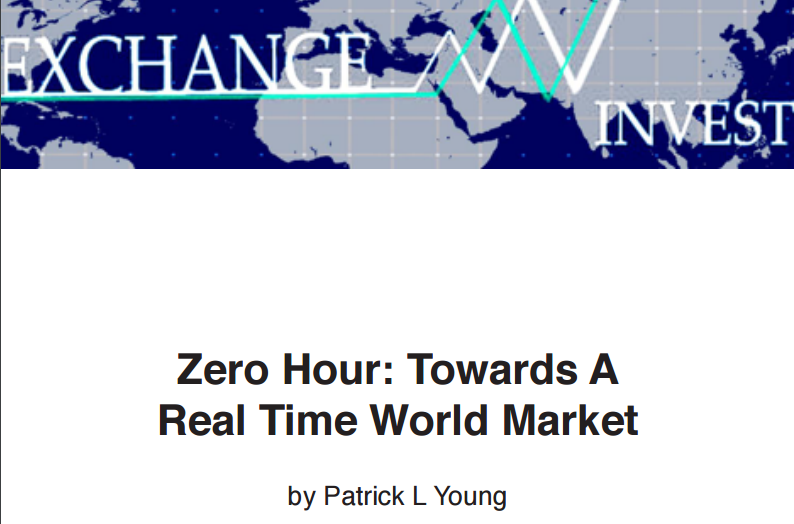 (In addition to advising investors the world over, amongst his portfolio of startups, Patrick publishes “Exchange Invest” the global daily benchmark newsletter on markets & market structure world-wide). You once told me that you have been involved in the bitcoin market for quite some time. How did you come to be aware of such a thing at such an early stage of its development? PLY: Actually I predate Bitcoin insofar as it was obvious when I first picked up on the nascent WWW over 20 years ago, that the web broke down just about every value chain then extant. That meant money too. I codified this thinking in print (yes, that quaint old concept of a physical book!) in 1999 with “Capital Market Revolution! - the future of markets in an online world” (FT Prentice Hall). However, I am no Satoshi. While I could see the value of electronic money, I didn’t foresee the distributed ledger which Bitcoin introduced to a broader public. I feel that anything that holds value or used as money should be somehow regulated. What are your thoughts on this in terms of cryptocurrencies? PLY: At heart, I am a sunny Reaganite optimist and his maxim that the most dangerous phrase in the English language was “I’m from the government and I’m here to help” remains seared to my soul. Regulation is as double sided an instrument as the existence of cryptocurrency. 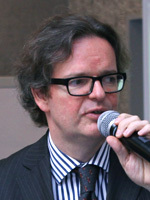 After all, it is regulations that are precluding customer choice to user disruptive services such as Uber… Look at what works in Poland and what doesn’t: the public sector is broadly incompetent if not outright dysfunctional, oblivious to the requirements of its client base and spends more time regulating to serve its own purpose than delivering economic good. Besides, no other currency is regulated - what government would submit themselves to such scrutiny when they regularly deface the value of their own coin through various monetary shenanigans? The great news late last year was the EU’s own courts deciding Bitcoin is a currency and not a commodity which helps it grow relatively unimpeded in at least these 28 nations. (It also ought to be helpful to the Polish BTC ecosystem where the tax authorities and government have generally been much more conservative in adjusting to new processes). Banks seem to be very interested in bitcoins and other fintech ventures as it has the ability to render them obsolete. Do you feel that the banks have anything to worry about? Banks have everything to worry about. This is the perfect storm where their exploitation of double entry bookkeeping leading to a protracted regulatory monopoly is now in very clear danger of extinction. Those with great balance sheets can survive and pivot profitably to some new milieu but banking per se has, on the macro level (and I am talking about a 500 year trend here!) peaked. It’s decline is already happening and remains inevitable in terms of the classic model but it may take as long as 30-50 years to be really clear at the general public level. The current application of blockchain is pretty much exclusive in the mining of bitcoin as well as other cryptocurrencies, however there are more things that once can do with the architecture. The possibility for the Blockchain are colossal. If Poland sees an outbreak of government with foresight for instance, then local councils could easily use Blockchains to deliver registers for property - thus removing the vast mountains of paper cluttering up regional government offices amidst a cloudy and broadly incompetent paper-centric system of local property taxation for instance. 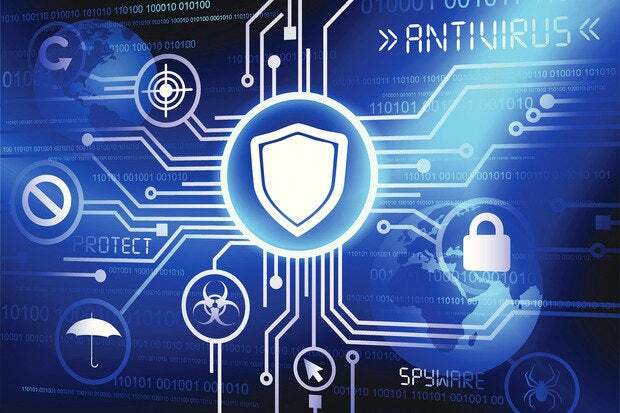 One of the most pressing issues in tech is security. How might blockchain be used to address this issue? Blockchain can deliver various means to effectively clarify trades / data entries that are difficult to break without simultaneously hacking a broad range of computers in different places because the ledger of data changes is, as it is called, distributed. 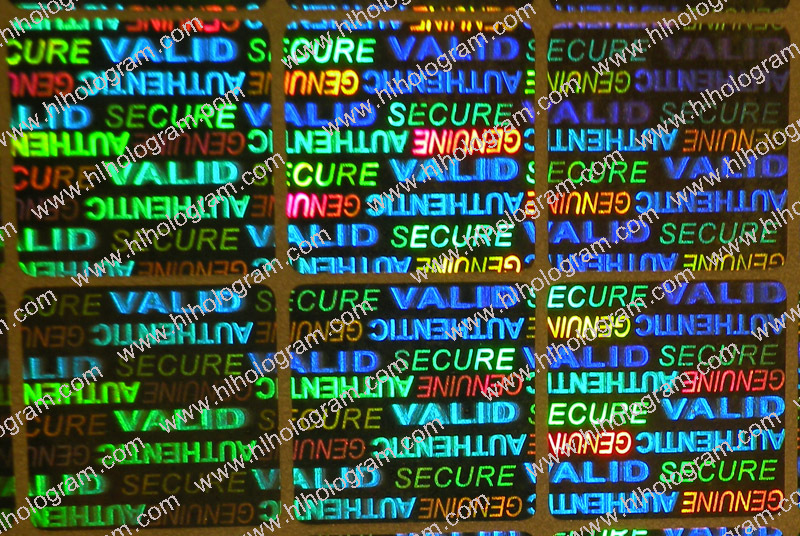 This, in and of itself, delivers a multi-faceted security feature. One of the features of blockchain is the open ledger. Why would this be considered a benefit, and what can we do with it? “Open” in the sense that the ledger is available to all members within that chain (dependent on protocols this can be in near real time or over longer periods - essentially the one quirk is the need to have a lot of bandwidth to show every transaction in near real time to every participant). Eric Schmidt mentioned in the talk about “inability to replicate or to be copied” when talking about blockchain. What does he mean by that? With the Blockchain a public (or private) user group distributed resource, to change a record means changing it on a multiplicity of different stored ledgers simultaneously - which is, to put it mildly, rather tricky to effect without leaving behind a trail evidencing manipulation. Some say that blockchain can be used to authenticate physical objects. How would that work? Essentially it’s a type of certification that would show the origin of the product and thus as the ledger is distributed it would be harder to change the certificate of origin without, again, being in multiple places changing the record at the same time. Business Insider say that insurance is the next untapped market for fintech. 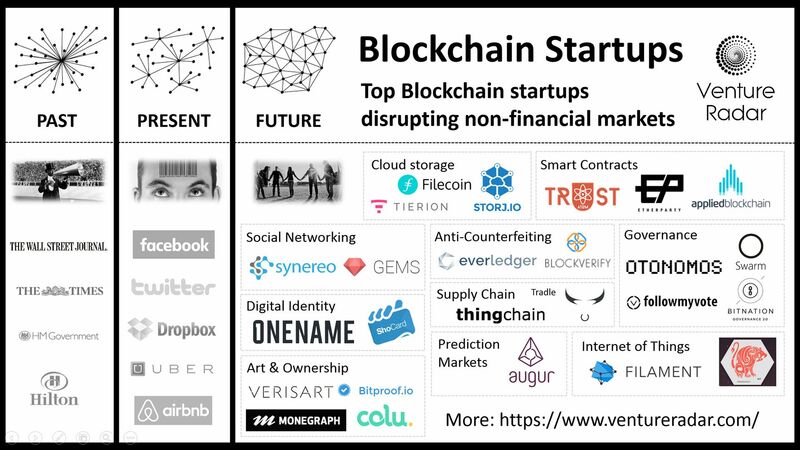 How can blockchain be used in this space? Insurance is costly, inefficient, based on huge quantities of paperwork dependent upon relatively poor databases of information (much of which is blandly unspecific), Blockchain could be used to store better, personalised data, creating even smart contracts for insurance, delivering microinsurance products for small risks and so forth much more efficiently than the current bureaucratic approach which is a bit like a bludgeon managing pinpoint risks. Blockchain can be quite costly, In terms of resources needed to even get started. I mean the hardware and the electricity requirement. How can a startup team even get started? I disagree, blockchains can be derived open source at zero or next to no cost. The user group network can take the strain for processing - overall the costs of Blockchain creation are low. At the moment, blockchain is so abstract that it is hard to even comprehend for the regular Joe. What needs to happen for the tech to go mainstream? PLY: Blockchain is plumbing. Smart plumbing. As such it will go mainstream through business adoption but without the public having to realise it is taking place. How many drivers are well versed in the systems their bank uses to keep their money, or their insurer to record their motoring history? I would wager next to none. In fact most people have no idea of the complexity of electronics in their car, compared, say to the simplistic electrical system of, say, the classic Polish Syrena from the 1950’s. Blockchain revolutionizes the world in the same way software does - the vast majority of humanity does not have to worry about where the process happens or how it works...they just want to use the software and enjoy an efficient, cost effective service. Tell me a little about your latest publication? The settlement infrastructure of financial markets as well as the risk management processes for derivative and cash markets are at once fascinating and also, in many places, significantly behind the speed of other technological innovations, as legacy systems have not yet caught up with the innovations of technology and, indeed, Blockchain. I call it the move to “Zero Hour” clearing. 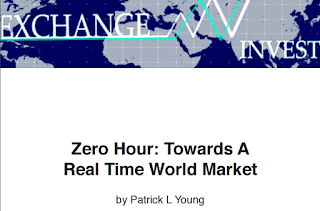 You can download “Towards A Real Time World Market” free of charge. Thank you for your time. It was much appreciated. Thank you for reading another post just for you! If you liked what you read please share it by using one of the buttons below and check out other posts in this blog. I don’t want you to miss out on future posts so please follow me on Twitter @Eurodude23. If you haven’t done it already, please like my Facebook fan page by clicking here! And if you like the content you have read, and are looking for a content writer for your team please go to www.contentfarm.org for details. See you next time! For last few months i’m looking bitcoin rate it never let down to $300 and never lift up to $500. But in this post you have mention that bitcoin price is $1147 per coin at that time definitely seller gets more profit. If you are looking for the best Bitcoin exchange company, then you should pick CoinMama. Hello readers, My name is Paul Chen and welcome to K’Sup. My goal is to provide you an English language based blog on the events as well as highlight some of the enterprises who are trying to get their spot on the map as well as to archive the on-going activities at the same time do some trend-spotting. I hope you will find K’Sup both informative and inspirational. The name K’Sup is a combination of K for Krakow and S for start and UP. ‘Sup is colloquial for what’s up in American slang.